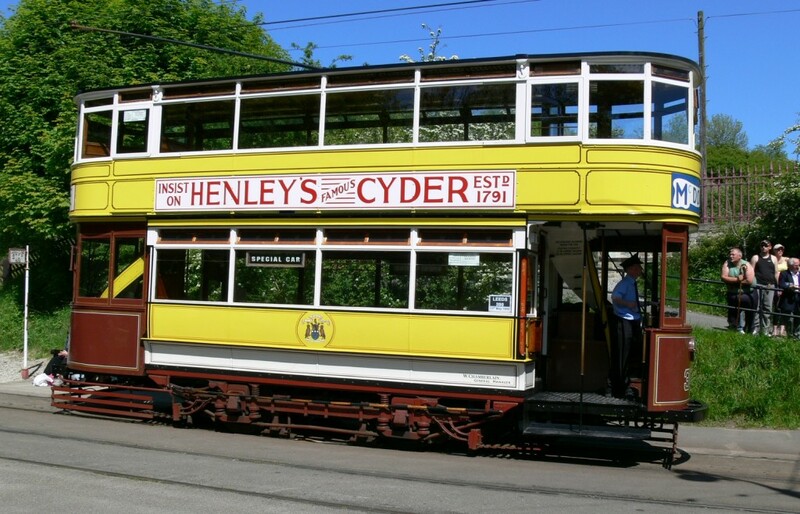 The Tramway Museum Society, operators of the Crich Tramway Village, have revealed the annual mileage statistics for its operating trams during 2012. Twenty-five different trams carried passengers at the museum, including three works cars and a horse tram. 2012 was a notable year as three ‘new’ trams joined the running fleet, with a few old favourites also back in service – however, it was the old guard which dominated the chart! Leeds 399 topped the list, clocking a healthy 1301 miles during the past year. Just two other trams managed to break the 1000 mile barrier; these being Glasgow 812 (1096 miles) and Blackpool ‘Standard’ 40 (1091 miles). At the opposite end of the scale, newly restored London 159 only recorded 5 miles in passenger service before being withdrawn, putting it in joint last place with horse car Sheffield 15. The other two trams which were launched into service at Crich last year fared considerably better than 159, although the 584 miles worked by Blackpool Brush car 630 was obviously a significant drop compared to the mileages it operated in Blackpool up to and including the 2011 illuminations. Blackpool ‘Boat’ 236 also had a succesful first year in preservation, clocking up a mileage of 508 – although this was about half that of the total it achieved when it previously ran at Crich on loan back in 1985. Having last ran in Blackpool back in 2004, the tram was probably just glad to be able to carry passengers again though! The temporary return to use of Glasgow cars 1068 (ex-Paisley 68) and 1282 for the highly succesful ‘Glasgow 50′ event in September led to these trams running 21 and 25 miles respectively, whilst Sheffield works car 330 managed 17 miles carrying passengers. However, the dire summer weather led to disapointing totals for the operational open trams, with Southampton 45‘s 650 miles being well short of its normal annual figure. The total mileage from the whole fleet of 11891 was slightly up on 2011, with the larger operating pool ensuring that the miles were spread out between a good number of trams, presumably explaining some of the low totals. Unsurprisingly, it was the enclosed double-deckers which made up the bulk of the total, accounting for a hefty 70% of all journeys operated during the year, with open cars contributing just 17%.